After over 13 years, Supernatural has finally reached the epic and impressive milestone of 300 episodes. The highly-anticipated 300th episode, “Lebanon”, was written by Andrew Dabb and Meredith Glynn, and directed by Robert Singer. 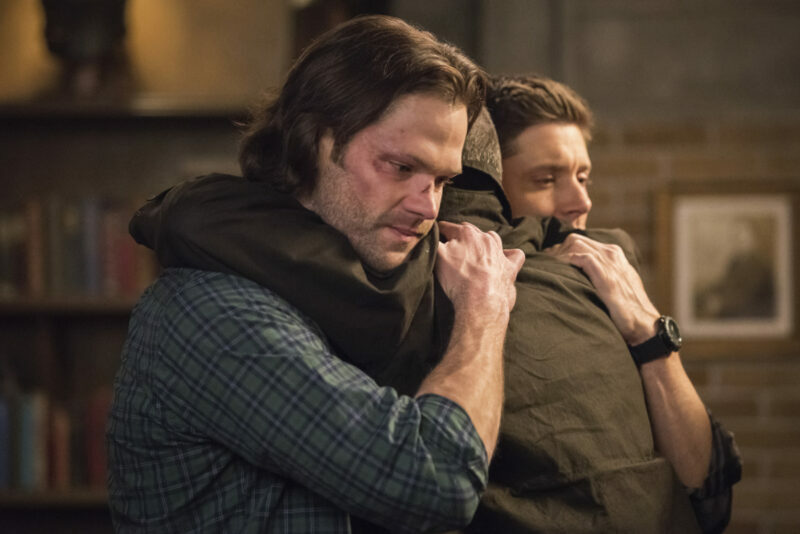 In the promo, Sam and Dean discuss their ominous predicament: their current timeline is changing and converging with an alternate one, and they are at risk of being overwritten by a disturbingly different version of the Winchesters. “Lebanon” is an important episode for a few reasons, because it also marks the return of John Winchester, played by Jeffrey Dean Morgan. Morgan’s last (physical) appearance on Supernatural was in 2007, in the episode “All Hell Breaks Loose: Part 2“. Kurt Fuller will be appearing as well, reprising his role as the angel Zachariah. The 300th episode of Supernatural will air Feb 7 at 8/7c on the CW. Previous story Jason Manns Shares Glimpse of Richard Speight, Jr. Recording New Album!